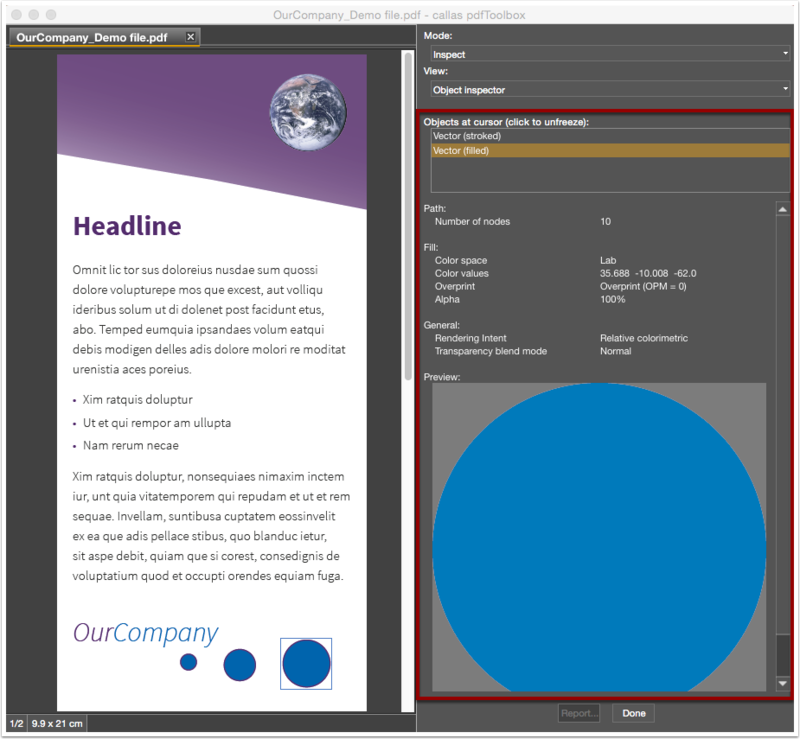 From pdfToolbox 8.0 the "Inspect" panel is added. 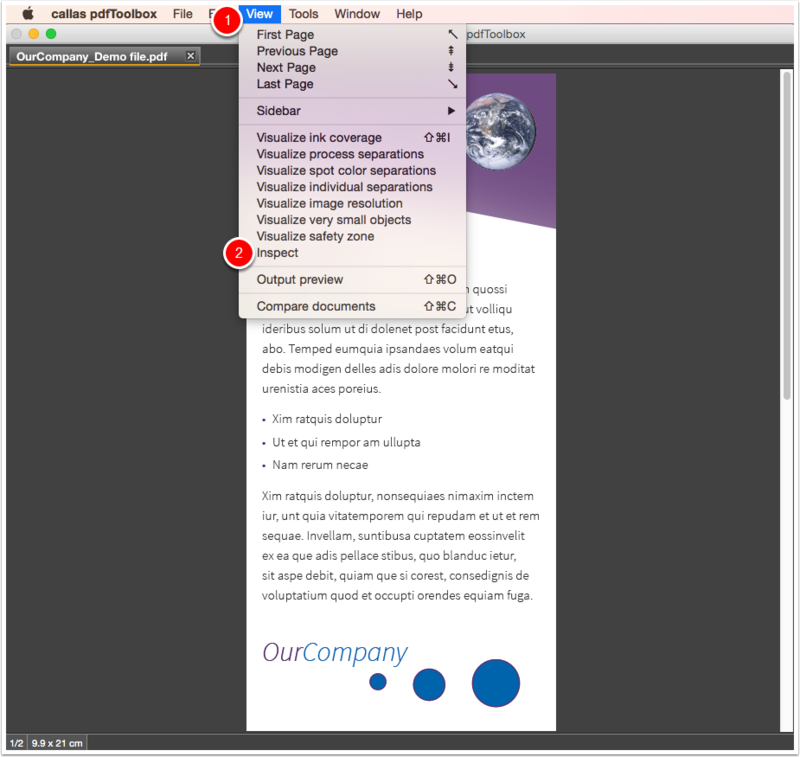 The Object Inspector provides an interactive expandable list of properties for objects in PDF files. 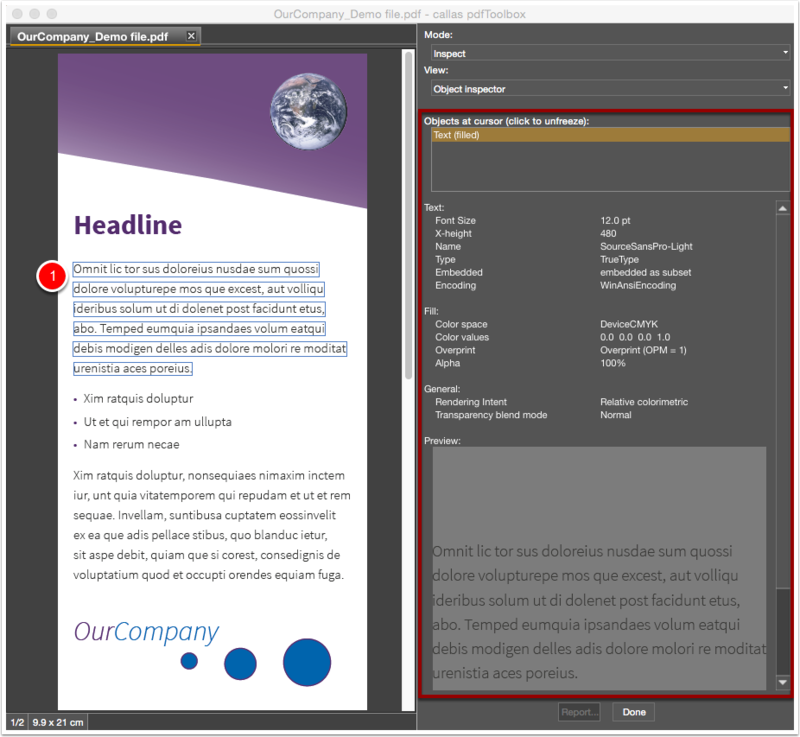 Left side: the preview of the selected page of the PDF file. Right side: the information area of the selected object of the page. 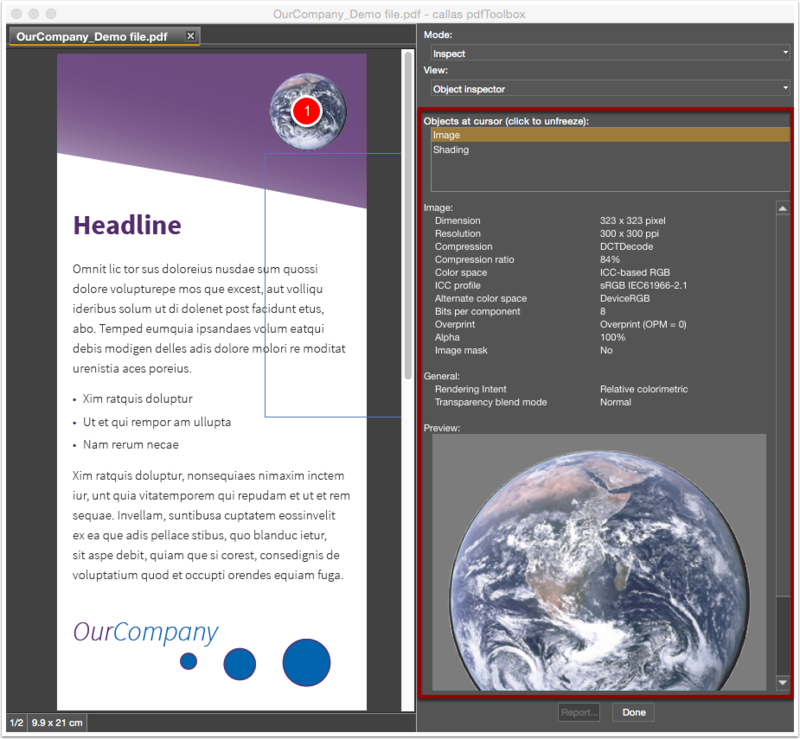 The viewer mode is "Inspect" with the "Object inspector". The "Object inspector" is context sensitive. Move above the text alinea. Detailed information and a preview of the selected text shows at the right side of the panel. NOTE: The view is fixed when you click directly on the desired object. A renewed click triggers the connection of the selected object. A vector object, depending on whether contour and filing are present, more than one present object. Contour information about the path appears (anchor points). In the area there are contour details such as color space and line thickness. For filing, information about the path appears (anchor points). In the area there are fill details such as color space and color values.